At least one autograph per box. Check out a box break below! Look for new Hobby Exclusive parallels, featuring verteran cards serial numbered to the player's jersey number and draft position. 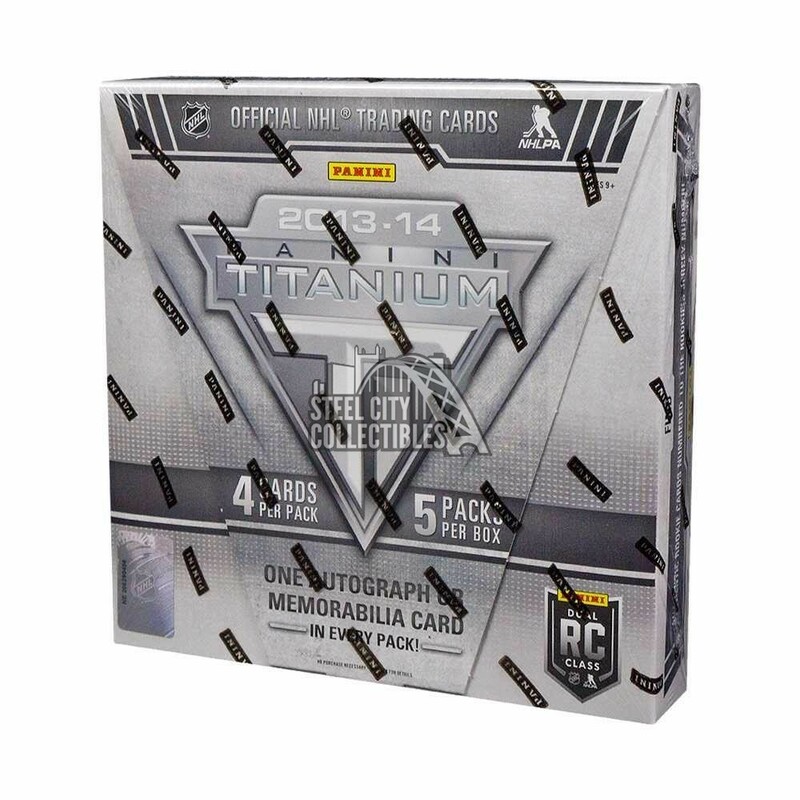 One memorabilia or autograph card per hobby pack, including Game Gear, Four Star Memorabilia, Six Star Memorabilia, Milestone Goal Die-Cuts and Metallic Marks Autograph Cards. Look for Social Signatures, featuring autographs and inscriptions of their social media handles. Find Dual and Triple Autograph cards of the newest NHL Dual Rookie class.